5 Question Friday With Jennifer Giles From Tacoma’s MASH! If you’re a beer lover, the Northwest is like Heaven. Some of the best beers in the world are brewed here. And some of the best beer stores are here. So it shouldn’t be too much of a surprise that if you want to make your own beer, Tacoma has a place to help get you set up. I contacted Jennifer Giles at MASH to join us for 5 Question Friday and tell us all about homebrewing Tacoma-style. MASH is the manifestation of a dream for a small, local boutique-style homebrew shop in our town that creates a close-knit community where brewers can come to learn about beer making at the beginner and all-grain level and where they can exchange ideas and love of homebrew. 2. How did MASH get started? After many years in the corporate world, I encouraged Jason to step away and figure out what he loves to do most and to find something that works best for our family. We decided to live on a shoestring budget and reprioritize our lives. In doing so, we got 3 chickens, planted gardens, cooked more, and Jason began to brew more often. One thing led to another and we decided that a homebrew shop in our neighborhood, where we could teach the brewing process and share our passion with our community, was a perfect fit. We also wanted to create a space that was warm, friendly, and unintimidating for both men and women. We waited for the right time and place, and last January our location on N. 21st opened up and we started the process! We had incredible support from our friends who helped make it all happen! 3. What are the biggest misconceptions when it comes to home brewing? The biggest misconception around homebrewing is that it must be hard to make beer. Jason’s phrase that he uses to describe homebrewing to people is this: “It’s not rocket science. It’s just beer”. Beer-making is very similar to making a large batch of tea; only you add yeast at the end. Part of the vision of MASH was to create an environment that reflected that simplicity so when new brewers come to see us, they think, “That’s it? That’s all I need to make my own beer?” Yes, it is that simple. 4. What is your advice for someone who wants to get started in home brewing? 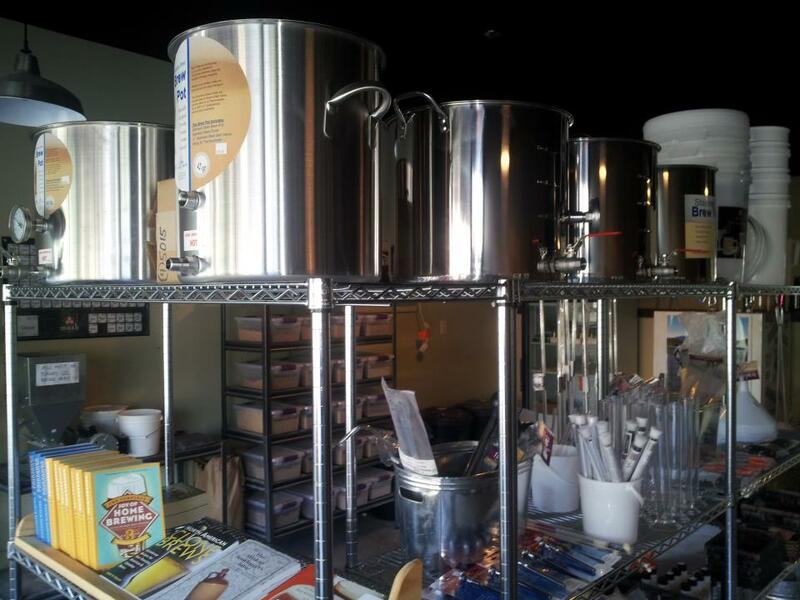 The advice we give people who want to start homebrewing is to start small. Like any hobby, you can invest as much or as little as you want. We don’t want people to feel that they have to refinance their house to be able to pursue homebrewing. It can be done with a simple pot on a stove and a carboy. That’s how we started after all. 5. What are your plans for the future of MASH? In the future, we see ourselves hosting brewing clubs and potentially doing a brew co-op. When we host brew clubs, we will then be able to have our homebrewers share their beers at our store with other brewers and exchange ideas and methods. It looks as if in a few months, the group H.O.P.S. (Homebrewers of Puget Sound) will be gathering on Friday nights at MASH to do just that! We are super excited to have them! We are so greatful to be where we are in all of this and we couldn’t do it without the amazing support from the town we love! Thanks to Jennifer Giles for joining me. You can visit MASH at 2714 North 21st Street or stop by their Facebook page at https://www.facebook.com/MASHTacoma. This entry was posted in 5 Question Fridays, Tacoma Places, Tacoma stuff and tagged Homebrewing, Jennifer Giles, MASH, MASH Tacoma. Bookmark the permalink.